I’ve been in a bit of a Harry Potter mood lately (It has been 5 months since my last movie marathon and 8 months since my last re-read), so why not remedy that by a fun tag? Any excuse to talk about Harry Potter right? 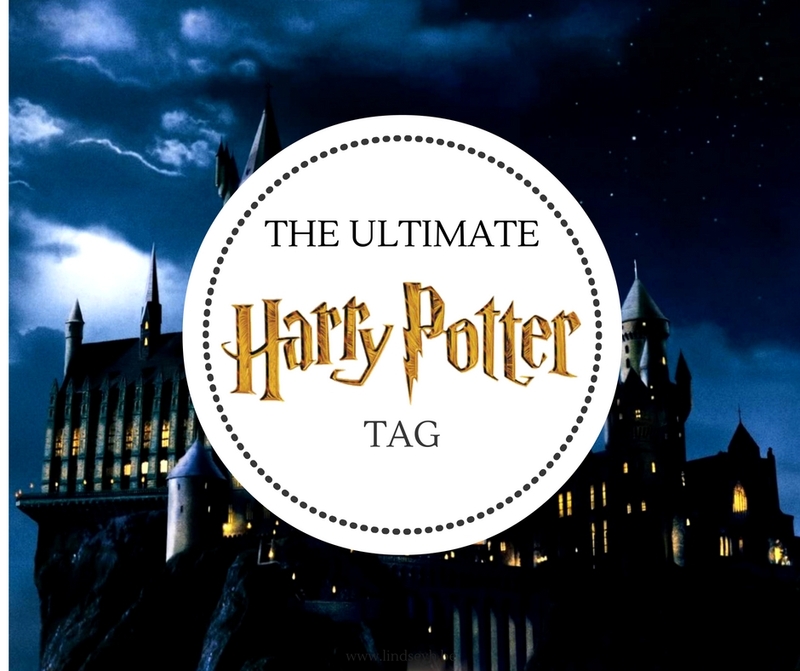 So here is the Ultimate Harry Potter Tag, with 30 questions on the books and movies. If you haven’t read or seen these, obviously there may be some spoilers. Tough one. I think Chamber of Secrets. But not because it’s bad, just because I love all other books a bit more for several reasons. Harry Potter and the Prisoner of Azkaban. I just loved the whole mood, cinematography and soundtrack. Harry Potter and the Deathly Hallows part one. Again, not that it’s bad, but it’s just the slowest and most depressing part of all books put into one movie. Fred and George. Hands down. Though I love all Weasleys, Fred and George have a place in my heart. Hermione. She’s a role model to me and seriously, Harry and Ron would have gotten nowhere without her. Though I do love Luna a great deal too. Bellatrix Lestrange. I guess I like ’em a little lot crazy. You mean other than Fred and George? I always had a soft spot for Neville. I would go crazy and turn aggressive if I had to listen to Lockhart all day. So definitely wash Snape’s hair. Even elated Bellatrix could not beat angry Molly. So I’ll take my chances with the crazy one, thank you very much. Hogwarts Express. Because it would be a dream come true. Also, I would not be comfortable in a flying car. At all. What kind of question is this? Ugh. Umm, I guess give Umbridge a bubble bath. Going with the obvious answer: Ginny. She just stood out as a fierce, intelligent, brave and cunning young witch so much more in the books. In the movie she felt more like she was only there to be the love interest, without showing us WHY Harry fell in love with her. No. I adore the movies and think they are some of the best movie adaptations out there, but the books still offer so much more background, character development, worldbuilding and overall emotion. I love them both. No preference. Well, I get why it wasn’t in there, but I would have loved some more Marauders. Also, the whole Percy-Weasley family fall-out and make-up. Also, some more of the Neville backstory. None. Seriously, I liked them all. Though I wouldn’t say no to a special edition 3-hour movie per book, featuring ALL book scenes. Ravenclaw. Because I always liked learning and reading and I would love to hang with Luna. I would love Defense Against The Dark Arts. Even though I’m not all that brave – maybe I would be if I had some DADA classes! Accio. Imagine the time I could save by never having to get up and get things again. People may call it lazy, I call it efficient! I think Neville. Honestly, I just have a thing for the underdog. The Invisibility Cloak. Definitely. Imagine all the possibilities: I could go to work in my PJ’s and no-one would notice. I could listen in on all kind of things I shouldn’t listen into and call myself a ninja spy. I could sneak into concerts and festivals and movie theaters without paying. Though I guess the cloak is not meant to be used for personal gain… still, how cool would that be? I kind of wanted more for Draco. I wanted a bigger kind of redemption arc and maybe him working with Harry near the end. Moony. Remus Lupin seems like the nicest of them all and the person I would be most comfortable with. Well… except during full moon of course. Fred. I’m still not over that one. Doubt I ever will be. Hallows obviously. Because Horcruxes are creepy as hell. Don’t want to kill and split my soul, thank you! If you love Harry Potter, I tag you! I LOVE this tag! It looks like so much fun. Jolien @ The Fictional Reader recently posted…The Fictional Reader TURNS 2! Thanks! Feel free to do this one if you want, would love to see your answers! The twins were my favorites from very early in the series – I loved each and every one of their scenes so much 🙂 Though I did love the whole Weasley family dynamic, I think they will always be my favorite fictional family. I had to stop and re-read that scene in Deathly Hallows a few times because I was in denial and not accepting it. In fact, I’m still in the denial phase here. We have the same favourite book, movie and villain in common!! Totally with you on Accio and the invisibility cloack too! !